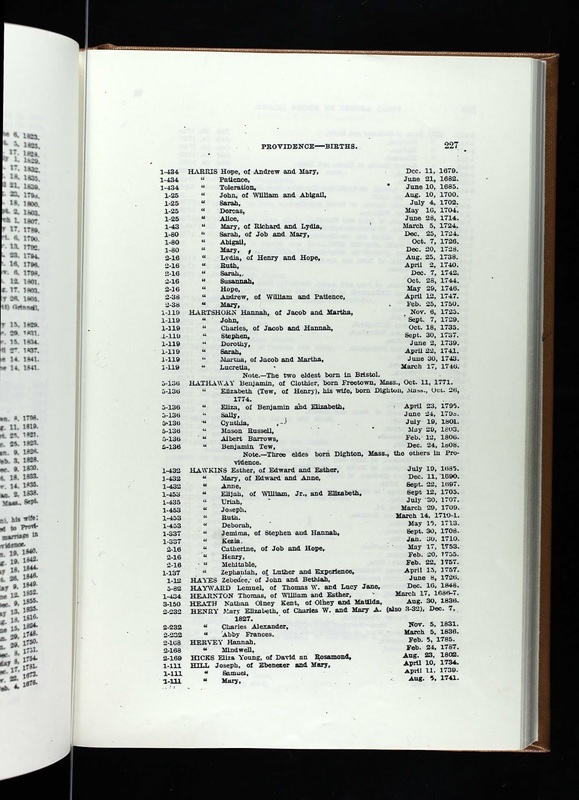 "Rhode Island, Vital Records Extracts, 1636-1899," indexed database and digital image, Ancestry.com(https://www.ancestry.com), Volume 2, "Providence County Births, Marriages and Deaths," Providence Marriages, page 188, John Tracy and Mary Hawkins marriage entry. 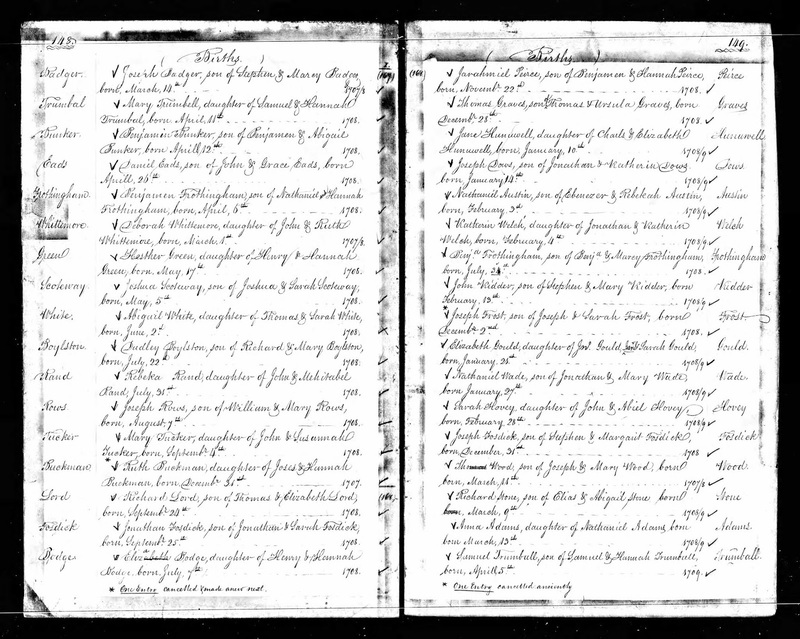 John Tracy (1695-1751) was the son of John and Deborah (--?--) Tracy of Providence, and Mary Hawkins was the daughter of William and Mary (--?--) Hawkins of Providence. This marriage record is, I believe, a derivative source copy of the original town records in the Providence town record books. 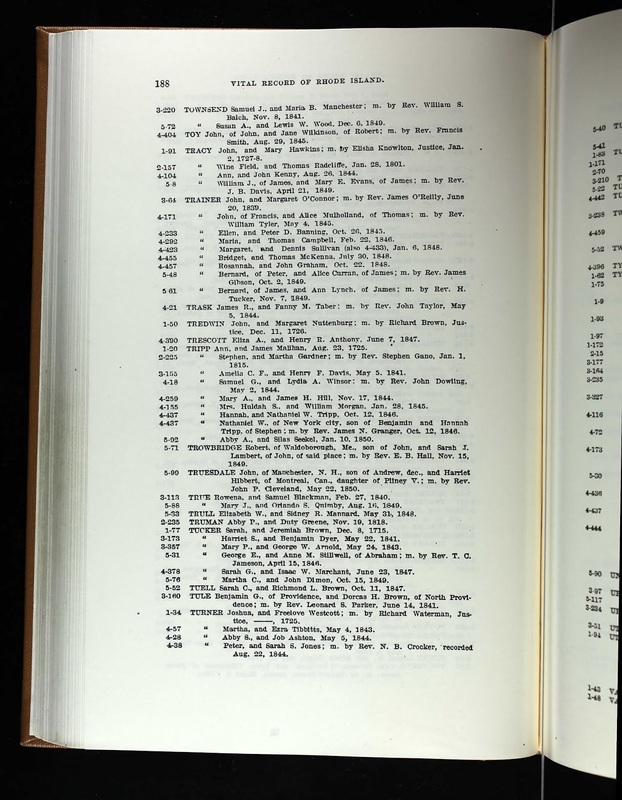 The original record can be in Volume 1, page 91, of the Providence Town Record books. John and Mary (Hawkins) Tracy are my 6th great-grandparents. 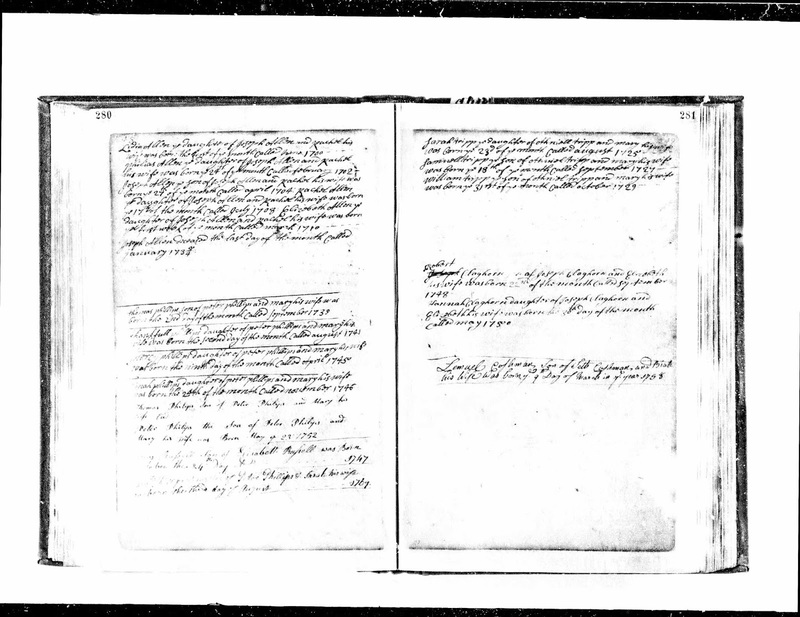 I am descended from their son daughter Deborah Tracy (1731-after 1800) who married Simon Wade (1731-after 1800) in about 1763 and resided in Foster, Rhode Island.